WASHINGTON (AP) — No pitcher ever has put together a season quite like Jacob deGrom's 2018 for the New York Mets. The 23 consecutive quality starts are a record. So are the 28 starting assignments in a row allowing three runs or fewer. The 1.77 ERA isn't too shabby, either. "He's just getting better and better. He's a special ballplayer. 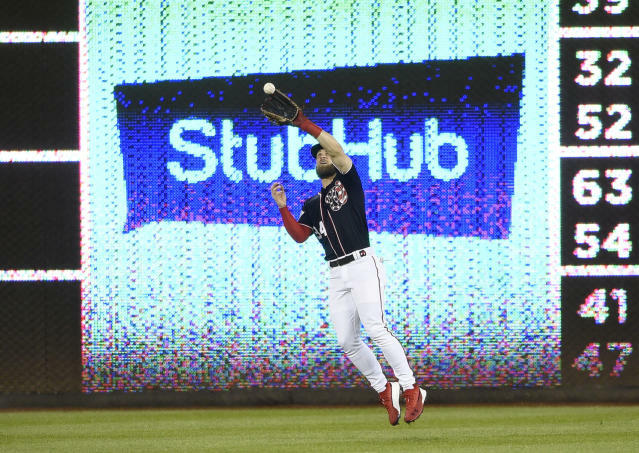 He goes out there every night and it's tough that he only has nine wins or eight wins or whatever he has," said Nationals slugger Bryce Harper, who went 0 for 3 against deGrom, including a pair of strikeouts and a chopper back to the pitcher. "He's one of the best in baseball — from both leagues. You know what you're going to get out of him every single night and tonight he was pretty tough." "I want us to be in every ballgame that I pitch, so I guess that kind of is an accomplishment of a goal that I have," deGrom said. "So I want to continue to do that moving forward." His next start will be Wednesday against visiting Atlanta. That's for sure. Neither deGrom nor manager Mickey Callaway would rule out the possibility of an extra outing on short rest on the regular season's final day, Sept. 30, at home against Miami. 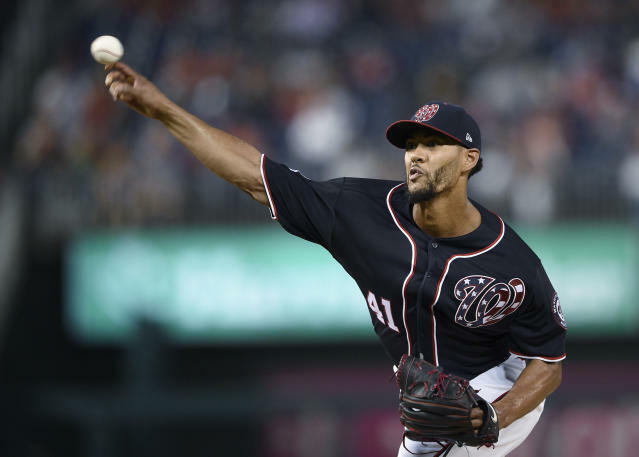 So Friday's game was pretty much wrapped up by the third inning, which ended with the Mets ahead 4-1 against Joe Ross (0-1). DeGrom is locked in what's considered a tight race for Cy Young honors — and perhaps league MVP consideration, too — with Nationals ace Max Scherzer, who is 17-7 with a 2.57 ERA and 290 strikeouts. Scherzer has won the past two Cy Young Awards in the NL, plus one in the AL when he played for the Detroit Tigers. 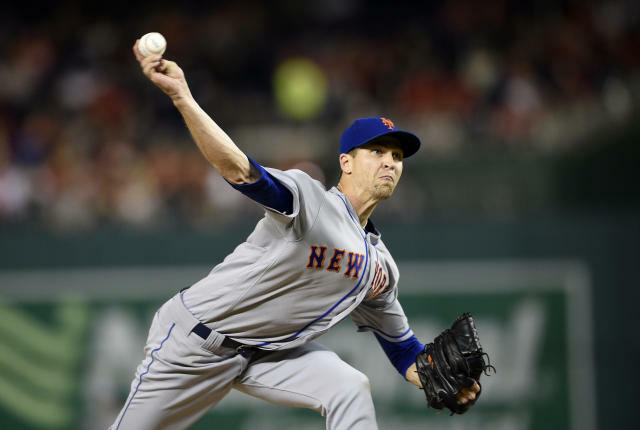 In the Mets' 5-4 victory in 12 innings Thursday, Scherzer gave up three runs in seven innings and struck out 13. "He's just able to do things other guys aren't," Mets teammate Jay Bruce said about deGrom. "He goes out there and it's been pretty automatic. He's either going to give up zero or one, pretty much every time he goes out there." Mets: Mesoraco hadn't played since leaving a game Sept. 3 because of a bulging disk in his back. He was 3 for 3 with a walk. RHP Corey Oswalt (3-2, 6.31 ERA) will start for the Mets on Saturday against RHP Austin Voth (0-1, 11.81), who will take RHP Tanner Roark's spot in the rotation. Roark's wife recently gave birth.